Burkitt lymphoma and lymphoblastic lymphoma are highly aggressive lymphomas mostly occurring in children, adolescents, and young adults. They account for approximately 4–5% of all non-Hodgkin lymphomas in Western countries. These B-cell neoplasms were frequently grouped together in the past, due to their fast-growing clinical behavior, related to a short doubling time, and their frequent presentation as acute leukemia. Burkitt leukemia was formerly classified as a lymphoblastic leukemia with L3 morphology according to the FAB classification. 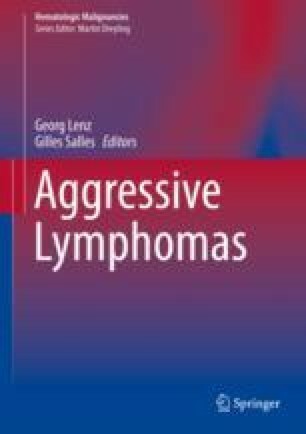 However, the biological characterization, especially the immunophenotype of these lymphomas, showed that Burkitt leukemia/lymphoma and lymphoblastic leukemia/lymphoma correspond to radically different stages of lymphoid maturation, with a different cell of origin, justifying their classification as separate entities in the WHO classification: lymphoblastic lymphoma is a B- or T-cell precursor lymphoid neoplasm, while Burkitt lymphoma is a mature B-cell neoplasm. As with other subtypes of lymphomas, emerging data from gene expression profiling, next-generation sequencing, and related techniques help to define these entities more precisely and to better understand their pathogenesis in order to identify potential new rational therapeutic targets. Oschlies I, Burkhardt B, Chassagne-Clement C, d’Amore ES, Hansson U, Hebeda K, Mc Carthy K, Kodet R, Maldyk J, Müllauer L, Porwit A, Schmatz AI, Tinguely M, Abramov D, Wotherspoon A, Zimmermann M, Reiter A, Klapper W. Diagnosis and immunophenotype of 188 pediatric lymphoblastic lymphomas treated within a randomized prospective trial: experiences and preliminary recommendations from the European childhood lymphoma pathology panel. Am J Surg Pathol. 2011;35(6):836–44. https://doi.org/10.1097/PAS.0b013e318213e90e.